Live action kids TV show, possibly mini series set on Earth with young female protagonist in her early teens. Something about her being part of an alien race... potentially... I have a huge pull towards the letter ‘Z’ being very prominent, either it was her alien name, or the name of their race. She was either abandoned on Earth, or sent to Earth. I feel like the climax was her re-uniting with her alien family and discovering how important she was after all. I feel like it could be Australian based, but maybe wrong. I watched clips of Escape From Jupiter whilst trying to find this and got similar sort of vibes, but it's not that show. I found it, thanks for your help! In the end I stumbled across the entry on a "top 50 Australian 90s kids TV shows". I knew it was correct instantly when I saw the title & image. "A family of aliens flee their tyrannical home planet to come and live on Earth." Their home planet was called Zyrgon, and their people & enforcers all had "Z" plastered all over their clothes! So that's where that link came in. She escaped to earth with her family. I think the only bit I was wrong on was how I thought there was a part where she didn't realise she was an alien and only found out at the end, from the opening episode I've just watched she seems like the biggest mary sue I've ever seen! I'll have to watch the entire series to see if that plot arc appears anywhere. "The story was made into a television series in 1994-1995. It was very popular in Australia and aired on CITV and TCC in the UK and also in other parts of Europe and there are many fansites. 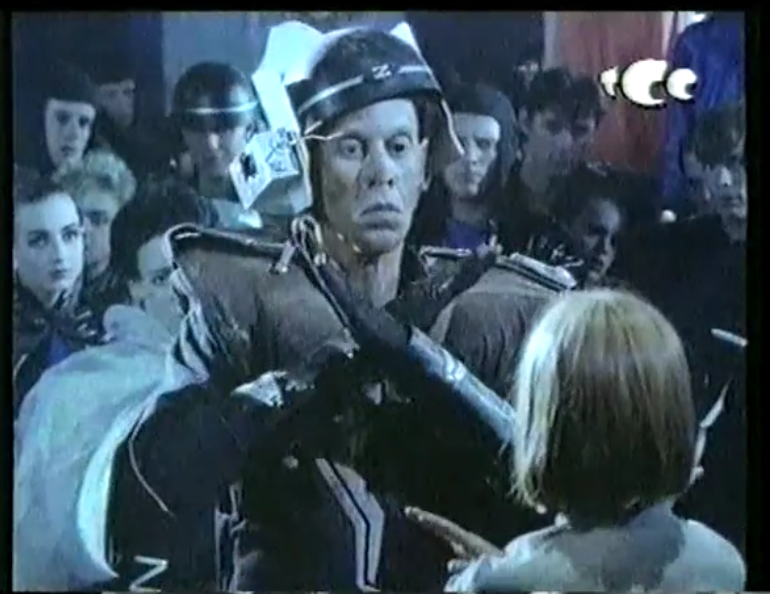 The series is not available on DVD, though in the early 1990s several episodes were released on VHS in the United Kingdom. These can often be found for sale on eBay." 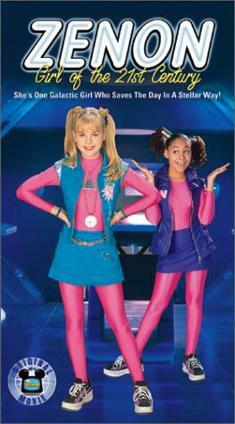 My first bet would be Zenon: Girl of the 21st Century, based on the book of the same name. The year is 2049 and Zenon Kar is a 13-year-old girl who lives with her family on an Earth-orbiting space station. 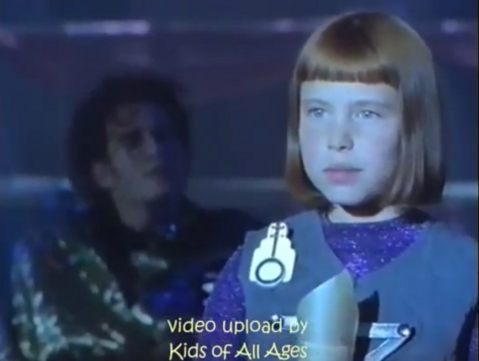 After getting into trouble with the space station's commander, Edward Plank, Zenon's parents punish her by sending her to Earth to live with her Aunt Judy. On Earth, Zenon experiences trouble fitting in with other kids, who consider her name, space-station stories and slang to be weird. Likewise, Zenon considers the children at her school woefully out of touch with pop culture. Homesick, Zenon often communicates with her best friend on the space station, Nebula Wade, via a video phone tablet. Eventually, Zenon makes friends on Earth with two boys, Andrew and Greg (with whom she develops a relationship). Along the way the kids learn to be more accepting of one another and to look past first impressions. I'm afraid I don't have any real story on how I found it other than remembering the title (although I was originally thinking "Zathura", which is a completely different film), and then checking the details. The letter zed is important on account of the main alien teen girl's name being Zoey. She and her pal Kiki find themselves stranded on Earth. After a dog eats their plasma card, causing their space ship to self destruct. There is rather a lot of teenagey love pentangles, surfing and unbelievably improbable situations as well as angst when, thankfully, it's time for Zoey and Kiki (along with half-human half-alien Brandon) to go back home. To a galaxy nowhere near far enough away. I sincerely hope this is the right programme! Sorry if this a favourite of yours, but I can scarcely believe I actually waded through the Wikipedia article on this absolute dreck! I do like a good mystery and enjoy searching out these kinds of queries here! What was the Live action TV Show about Magicians?